SONOSIM SUMMARY: Within the last 20 years, Emergency Ultrasound (EUS) has become widely recognized as a valuable tool within the sphere of Emergency Medicine (EM). In accordance with this steadily increasing prevalence, the number of EUS fellowship positions has grown significantly. This study describes the characteristics of EUS fellowship graduates, as well as to examine the career paths these graduates chose to pursue. In doing so, it provides insight on the many benefits of EUS fellowship training among EM physicians. For EUS fellowship graduates, benefits included statistically significant improvement in bedside scanning, research skills, and administrative skills. EUS fellowship graduates are more competitive in the job market, and many graduates indicated that they believed their EUS fellowship was instrumental in leading them to their current employment. In conclusion, EUS fellowship training provides graduates with a broad skill set, that is highly sought after in both academic and community settings. Goldflam, K. , Papanagnou, D. and Lewiss, R. E. (2018), Emergency Ultrasound: A Survey Study of Fellowship Graduate Characteristics and Career Paths. J Ultrasound Med, 37: 487-492. There are sparse data on the career pathways of graduates of emergency ultrasound fellowships. The authors sought to define the characteristics of graduates and their reported career paths after training through this survey study. A 26-question anonymous survey was emailed to 597 graduates of 70 fellowships over a 4-week period. No incentives were provided for completion of the questionnaire. Descriptive statistics are reported. For qualitative data, open- and axial-coding methods were used. A total of 336 participants completed the study for a response rate of 56%. The average age of respondents was 36.4 years, and 58% were male. Most graduates had MD degrees (89%) or DO degrees (10%). Sixty percent of graduates attended a 3-year emergency medicine residency, and 29% attended a 4-year residency. Only 11% pursued additional fellowship training, most commonly pediatric emergency medicine (n = 14). After fellowship, 63% (95% confidence interval [CI], 62.9, 63.1) of graduates began working full-time in an academic setting, whereas 24% (95% CI, 23.9, 24.1) worked full-time in a community setting. Thirty-three percent (95% CI, 32.7, 33.3) took an immediate position as ultrasound division director, whereas 4% (95% CI, 3.7, 4.3) became fellowship directors and 3% (95% CI, 2.7, 3.3) became ultrasound medical student directors. Currently, 67% (95% CI, 66-68%) identify ultrasound as their leading academic focus. Although not all fellowship graduates pursue academic positions, most note the impact of fellowship on their career paths. Graduates hold a variety of leadership positions. 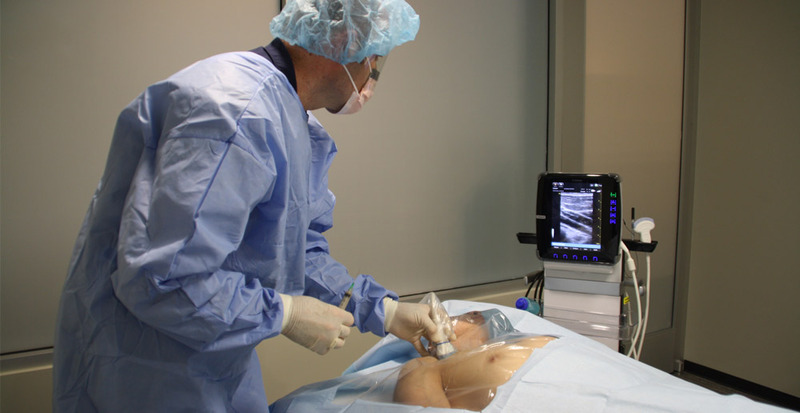 Approximately two thirds still consider ultrasound as their academic focus.